One night Sophia is awakened by the howling of the wind. Her mother suggests they count the animals in her picture book and Sophia soon drifts back to sleep. That night Sophia dreams that the wind blows so hard that it takes the fur and feathers right off her animal friends! To help out her animal friends, Sophia offers to share her clothes with them. But her clothing doesn't work well for the animals and they think they look terribly silly! Sophia can tell the animals are unhappy and disappointed. But what can she do? Then Sophia has an idea. She remembers her grandmother's sewing basket, which is filled with feathers, furs, pins and sequins. So she offers to sew each animal the right coat. The animals line up to explain to Sophia what kind of covering they need and why. Polar Bear needs white fur to stay warm and hide in the snow. Fish and Snake need scales, but Fish needs slimy ones and Snake needs dry ones. Sophia has to figure out what materials to use to make the appropriate coat for each of the animals, and as she does she adds her own special touch to each coat. My two little boys absolutely LOVED this book. The story of Sophia helping the animals find the right coverings was engaging and had even my two-year-old spellbound. I have read it to the boys numerous times and it is quickly becoming one of their new favorites. Not only was the story wonderful, the illustrations were a lot of fun and my boys even laughed out loud at some of the pictures, like when the animals had on Sophia's clothes. They loved the special touches that Sophia added to the animals coverings and the mystery of whether or not Sophia's dream could actually be real when Sophia sees a polar bear at the zoo with a heart over its ear. As a librarian, I loved that my boys were learning about animals while being engaged in the story. Jonah was interested to learn about why all the animals needed different skins and I am planning on using this story in the co-operative preschool that I help teach we start our units on different types of animals. If you are looking for a fun and educational story for your children, this is one that they will love. So add it to your Christmas list! 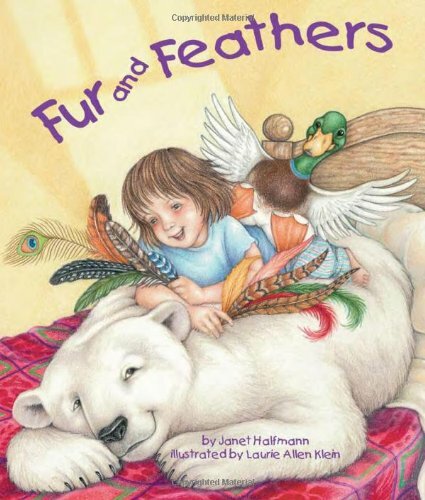 I was pleased to discover Janet Halfmann, who is a wonderful author as well as illustrator Laurie Allen Klein. Together they make an award-winning team, as this book recently won the Gold Moonbeam Award for best preschool picture book. 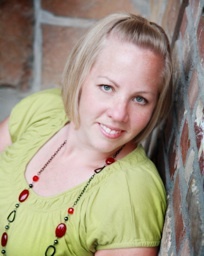 I am excited that soon I will have the opportunity to review another of Janet's books as well as host a giveaway! So watch for that in the near future. I was provided a complimentary copy of Fur And Feathers for review by Sylvan Dell Publishing. This review is my opinion of the book and others may have differing opinions. I love Children's books. Well, I love any book, but it's such fun to find a new Children's book. This one is new to me, but I think I need to get it--after all I AM a Mawmaw!